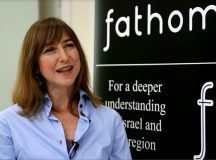 Fathom – IsraelVotes2019 | The National-Religious Camp: No Direction Home? Fathom > April 2019 > IsraelVotes2019 | The National-Religious Camp: No Direction Home? 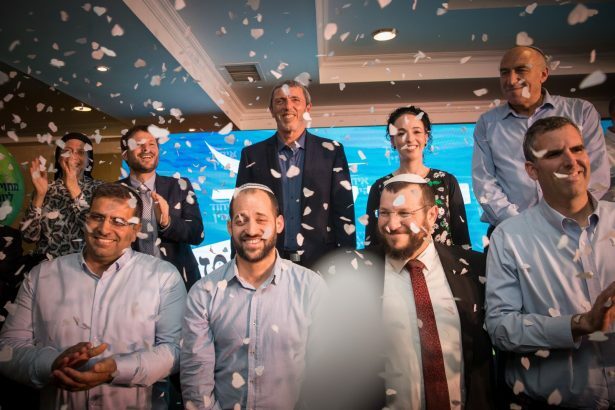 Leader of the Jewish Home party, Rafi Peretz, Head of the National Union party MK Bezalel Smotrich and members of the Union of Right-Wing Parties at the campaign opening event of "Union of Right-Wing Parties" in Jerusalem, on March 11, 2019. 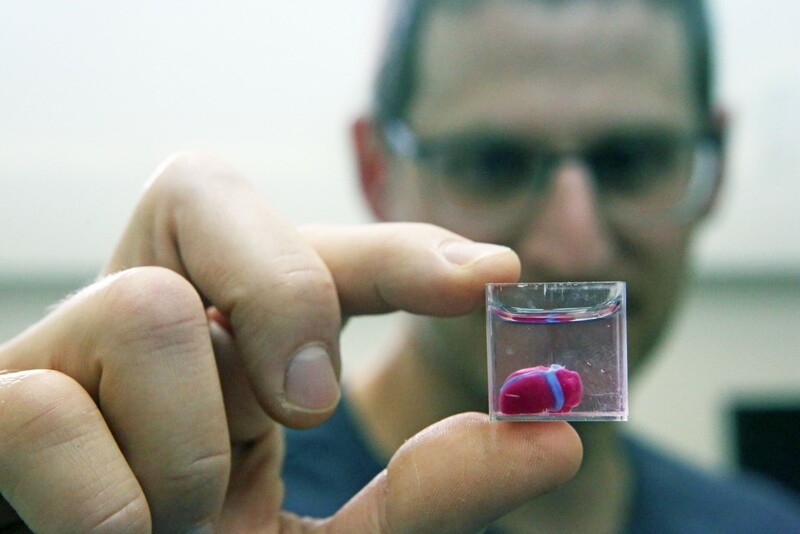 Image from Flash90 / Yonatan Sindel. In some ways, the national religious community face the 2019 election without a traditional ideological home. Nevertheless, argues Sara Hirschhorn, the election results are likely to offer more political surety to the constituency than to any other, there being little to suggest any challenge to the settler enterprise or a separation of religion from the public sphere in the coming years. 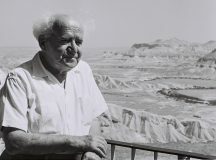 From the early statehood period, the religious Zionist public reliably voted as a bloc for parties that represented their interests like the Mizrachi, and later, the Mafdal (or National Religious Party), which sat independently of successive secular Zionist governments for several decades. With the election of Menachem Begin and the Likud party in 1977 – which broke nearly 30 years of Labor party dominance of the Israeli Knesset – and certainly after the Camp David Peace Accords with Egypt in 1979, the Mafdal party lost market-share and the religious Zionist movement fragmented into more radical and populist independent parties such as Moledet and Tekuma. Since 2008, with the creation of the Ha-Bayit Ha-Yehudi (Jewish Home) party, which represented the amalgamation of Mafdal, Moledet, and Tekuma, religious Zionist voters once again had an electoral ‘home’. Yet, internal tensions within the joint-list , (which saw the almost immediate departure of Moledet and a split between so-called moderates aligned with MK Naftali Bennett and the Tekuma faction led by MK Uri Ariel), put stress on internal party cohesion and caused consternation for voters who were concerned about the party’s agenda. Meanwhile, the wish to ensure an overall right wing victory also began to impinge on a religious-Zionist public’s purely ideological behaviour at the voting booth. The national religious camp became increasingly worried about the small margins of stability ‘enjoyed’ by the last several right-wing coalitions led by Benjamin Netanyahu, which relied precipitously on the votes of a narrow majority that could easily be toppled by minor points of disagreement — (especially with the Ashkenazi ultra-Orthodox Yahadut Ha-Torah United Torah Judaism party). 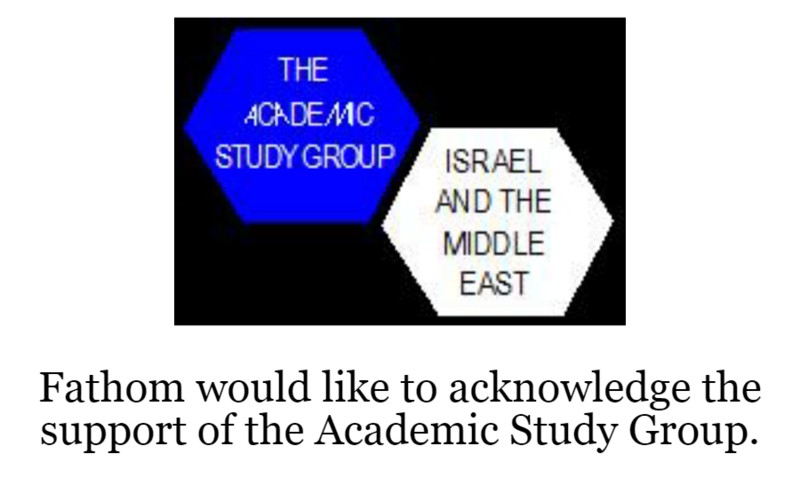 Their desire to see a more durable government – as well as, ironically, a general sense of confidence that Likud would defend the Greater Israel programme and the wider interests of religion in politics – led some religious Zionists to increasingly shift their voting habits. Instead of risking a left-wing coalition by voting for particularist parties, they began voting strategically for the Prime Minister’s party (as seen in the 2015 campaign where several seats moved from Jewish Home to Likud in the final 48 hours). While stalwart settlement activists and the religious Zionist electorate on both sides of the Green Line often vigorously and publicly discussed whether the Likud was aggressively promoting expansionist policies, preventing terror, or placating the international community with (mostly empty) promises of a peace process, there were clear signs that both internal dysfunction and external debate were undermining the electoral and ideological commitment to Ha-Bayit Ha-Yehudi. Yet in these elections, the national religious camp once again no longer has a clear ‘home’. Long-simmering ideological and tactical strife between so-called moderates and radicals within Ha-Bayit Ha-Yehudi led to a split between MKs Bennett and Ayelet Shaked who broke away to form the ‘New Right’ party in December 2018, leaving a smaller Jewish Home comprising mostly of Tekuma members now led by the openly racist and radical MK Bezalel Smotrich. Concerned about the fate of a future right-wing coalition, Netanyahu controversially midwifed an alliance between Ha-Bayit Ha-Yehudi and Otzma Yehudit (Jewish Power), a formerly fringe far-right faction comprised mainly of followers of Meir Kahane that did not pass the electoral threshold in 2015, to ensure their lists would make it into the 2019 Knesset, (with promised ministerial seats to Smotrich and his allies.) 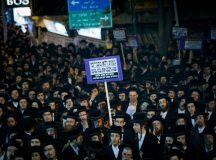 Some within the national religious camp decried the entry of Jewish Power into the electoral contest, dismissing the party as violent extremists that may well endanger a now mainstream Israeli settler movement and consequently pulling their ballot support for the combined list. 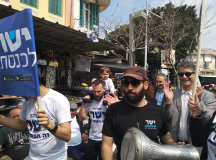 Yet, it remains unclear where these voters will shift their votes towards and to what extent there is a real constituency for the New Right, which has mostly failed to put forward a compelling platform distinguishing itself from the Likud. An embarrassment of party riches? Further, it is likely that many national religious voters will continue to vote strategically for the Likud – rather than either of the other two lists – to shore up a right-wing coalition. And in recent weeks, a new dark horse candidate – and former Likud member – Moshe Feiglin and his Zehut (Identity) party have ascended in the polling by campaigning on marijuana legalisation and libertarianism, with voters either unaware of or ambivalent about his platform to abolish the Oslo Accords, require loyalty tests from Palestinian citizens of Israel, promote the population ‘transfer’ of Palestinians, and establish Jewish sovereignty over the Temple Mount). This leaves many wondering whether an ultra-nationalist candidate who was once convicted for sedition against the State of Israel in the 1990s will become a kingmaker in the 2019 elections! Meanwhile, although all the right-wing parties have portrayed the centre-Left ‘Blue and White’ party as soft on security and settlements, former Chief of Staff Benny Gantz has thus far refused to full-throatedly endorse the two-state solution. Instead, he has ran early campaign ads touting his military record in bombing Gaza in military operations, and ruled out sitting with parties representing Palestinian citizens of Israel in a centre-Left coalition. At the time of writing, a unity government representing Blue and White as well as Likud (with or without Netanyahu) cannot be ruled out. Suffice to say, settler activists and the religious Zionist electorate on either side of the Green Line will seemingly have an embarrassment of party riches and political spoils in the 2019 Knesset. They are almost guaranteed a good number of seats spread across right-wing parties and will also likely have several representatives holding cabinet level positions. Even a centre-Left coalition or unity government may not necessary threaten their interests. Nevertheless, this election cycle has exposed much of the ideological tensions and internal divisions within the religious Zionist electorate. First, they are split between so-called moderates and extremists – even if in some cases, the divide is as much about public relations optics than policy options. Second, they seemingly have little faith that their parties alone can carry a coalition and therefore rely on strategic voting for the Likud to improve the chances of a right-leaning government. Third, and perhaps most importantly, the religious Zionist camp has no cohesive identity or committed loyalties at the voting booth and the era of the ‘national religious party’ has likely come to an end. Nonetheless, in spite of their divisions, the outcome of the 2019 elections will likely only strengthen the hand of the national religious ‘tribe’ within the State of Israel for the foreseeable future. It’s not clear to me why do all the journalists/columnists always have to lie ? Why is it so hard to read a book ? Feiglin NEVER advocated any “transfer”. Never.